They might but I've been here before with bus strategy papers that were promised for publication but were then discussed outside of planned meeting schedules and never made the light of day. It took nearly 6 months of argument and reviews to force them to publish with about 6 redactions. The whole thing was beyond farcical and completely at odds with the both the spirit and letter of the legislation. I specifically stated that if the current paper was due for publication at the Board then TfL inform me of such and that upon publication I would withdraw the FOI request. So I've given TfL that opportunity. Double shock horror - I have actually received the Bus Strategy Paper via FOI. Only just checked my E Mails. Unfortunately I cannot load it as an attachment due to the 1MB limit per file that Proboards have. It's not a formal paper but a 31 page presentation. There is nothing too shocking in it in terms of the future development. A lot of what is said has been touched on in other reports and papers. It does confirm that Hayes will be the next branding area. The trials are for 6 months duration. The believe seems to be that "simplifying" information will help people remember the bus network. A bus route or even a couple of them is not exactly War and Peace or some complex scientific concept in terms of a memory task. Ho hum. There is also a photo montage of a branded Citaro for route X26. I think someone went a bit mad with the old Photoshop. Has Server King been moonlighting? The paper confirms that more express routes are being considered where there is denser population or "densification" through development in the suburbs. The X140 is the only route specifically mentioned though. Also talk of "on demand" buses so expect some nice Mercedes Sprinters soon. Also talk of more radical congestion control, possible use of dedicated busways and other measures. However even if all of them were implemented TfL are not confident that this would halt patronage decline. Enormous concern over the impact of slow journeys and how much they turn off passengers from using buses. Seems to be a believe that bus priority and fiddling with traffic lights is the cure all here. It rather negates a whole pile of other issues, many under TfL control like the performance regime, contract risk and risk averse bidding / schedules. TfL are forecasting a further 2.3% fall in patronage for 2017/18 (£100m fall in revenue) which is disheartening to say the least. This is largely down to faster running speeds not materialising as expected. As we have speculated before the Business Plan now has an enormous hole in it and it must make the later year forecasts untenable now given the enormous uplift in revenue and patronage that was assumed. Here is TfL's view on the background to the current situation. Note the last bullet point! • Waiting Time is currently very good, with Excess Wait Time low (1.1 minutes). • We need to avoid further expensive accommodation of slower and more variable speeds into bus schedules. TfL are also planning on taking out 6m kms (£25m cost) from the bus network in the current financial year. Much will be in Central London but it will have ramifications elsewhere. No mention in the paper of a network redesign which is what the "future items for discussion" list had suggested. What the presentation seems to be, to my eyes anyway, is a rather compromised attempt to stop the bus network falling apart while set in the context of other Mayoral strategies which actually "harm" the bus network. 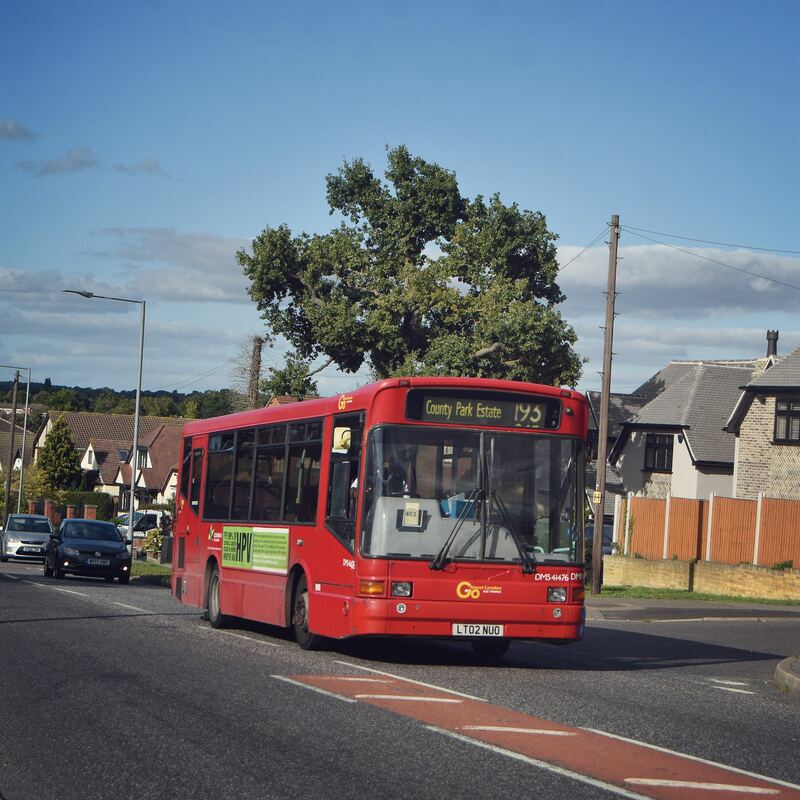 These are cleaner buses (vastly more expensive to buy and unknown running costs in some cases), "Healthy Streets" which means reduced lanes, slower speeds and no space for bus priority and "more cycling and walking" which specifically seeks to remove short and medium trips from the bus network. In short, if TfL had a free hand, they would not be trying to do all of these things and protect the bus network. In a politically unconstrained world you would have to take some very tough decisions about what size of network you really want *if* demand is falling, traffic congestion is out of control and people's travel patterns and expectations are changing. You wouldn't necessarily be buying electric buses nor voluntarily ceding road space which wrecks the ability to run the bus service effectively. In short we've gone from a horrible, confused and stupid "non strategy" under Boris to a seemingly more attractive and coherent new strategy for the current Mayor but which does not work (IMO) for buses. If people want to ask questions in subsequent posts about what else is in the paper I'll try and answer. 6m Km !!!. Thats the equivalent of removing routes 25 and 38 and still having to take 800Km from another route. Thats crazy. However, if some of that is taking the extra PVR's from routes that were given overly robust schedules like mentioned in the last bullet point then that would be good. Although that last bullet point seemed to indicate that they would stop doing it rather than undo them, which I guess the companies wont be to happy to do. Overall it seems that the best outcome would be for things to stay as bad as they are now, and not to get worse. I dont blame TfL for responding to the various political schemes, but I do blame them for not outlining the impact on bus journeys for these various schemes when they were being outlined. They seemed to defend the scheme rather than the bus. I am not surprised at the thinking, but the tinkering with traffic lights as a magic solution does concern me. Quite simply, if it can be done, why has it not happened until now. I am not a great fan of signallised junctions for the sake of it (yes big ones, or multi-lane need it) but far to many lights are controlling minor junctions that don't need them. A local example near me has just had new lights, but one of the side roads is blocked off 200m down as a new road was opened. That new road junction gained lights so why keep (and recently renew) the lights on the now minor junction. It pointlessly slows all traffic including buses. Yes 6m KMs is a lot but it is only dealing with 25% of the revenue drop. That rather shows the genuine difficulty TfL face from a range of factors. Well the way to undo an overly robust schedule is to change the service specification which requires a new schedule to be created. Even marginal frequency drops (as seen on many routes lately) will force that and then the consequences have to be negotiated. Operators may be unhappy but they only have two choices - negotiate an appropriate revised schedule and cost or don't and have TfL force a retender of the route. I doubt any operator would want the second option as they want the money flowing into their coffers rather than lose work early and be left with vehicles and staff without work. TfL state in the presentation that their "vision" is to get back to 2012/13 levels of patronage and performance. That's a tad ironic as that's the Olympic year which was not typical and was the first year that patronage fell after many years of increases. However so much has changed in the 5 years since then that I don't see how they get back. Even if we put the politics to one side things like changing technology (apps, uber etc) and shopping habits (on line ordering, home delivery) are affecting the volume of bus travel. I used to go to HMV once a week when they had their huge shop in Oxford St and I also to browse in bookshops. Now I rarely buy any new music or books as so many shops and chains have closed down, a lot of "new" music isn't much cop and book prices are ridiculous. That's down to the internet and Amazon in particular. There's just one tiny example where I would have made bus and tube trips and now don't. Multiply that several million times and you've got a lot of change. As I have said before TfL no doubt have their own views but they are subject to political control so have to do what the Mayor wants even if the policies are contradictory and make some matters worse. They just have to manage the inevitable fall out or try to minimise it in the first place. The presentation says clearly that things like more cycle superhighways, junction works and Oxford St will slow down buses even more and result in more patronage decline. Oh dear. It sounds as if there's still no acceptance within TfL (at least publicly) that the performance regime is a significant factor in slowing bus speeds. If they're going to heap all of the blame for low bus speeds on external factors without looking at the impact of their own targets, I have zero confidence that buses will be speeded up. The fact that they lump "slower" and "more variable" speeds together shows the problem. If we are to return to acceptable bus speeds we might have to accept a slight worsening of EWT figures. I don't think that's necessarily a problem - I believe that artificially slow journeys are far more damaging to people's perception of the bus network than slightly longer waiting times at bus stops. But of course it is a problem for operators who will be facing lower payments if EWT figures are worsened. I really think they need to review the contracting system that values EWT reduction above all other measures. Quite how they do that, I don't know, given that the whole operation is geared solely towards reducing EWT and has been for 15+ years, but there needs to be greater emphasis on overall journey times and less on the EWT element of the journey. Your comments made me go back to the presentation and I realised I had missed something out. The perils of scanning a document quickly late at night. The relevant points are quoted below. I know people are sceptical of targets and measurements but actually measuring peak bus journey times and having related targets may bring some much needed extra focus. I was also a little unfair on bus priority. Seems there is a 5 stage programme to create corridor improvements inside Zone 1 (barring Oxford St). These include Piccadilly / Shaftesbury Av / Bloomsbury, Victoria St / Whitehall / W'minster Bridge and through to Kennington, Borough and E&C, Charing Cross Rd (T Sq - Warren St), Waterloo - Euston, London Bridge - Shoreditch. No timescales are given - it's all on a colour coded map. Oh here's another fun bit that I missed. Some of the above would make me laugh if I weren't crying. The stuff around marketing is depressing when you consider, back in the boring 1980s, that LT used to pop a nice guide through your letterbox with bus timetables in it and a map and fares information. Those changing and metamorphosed over time into the borough level bus guides. I know TfL don't like printing anything anymore but I really do feel we have gone backwards hugely and now it's all back on the agenda. Also just to add that I looked more closely at the X26 brand mock up photo - it says "X26 every 6 minutes" "usb charging and free wifi". The bus has a whole red front half and is blue on the rear half. Even the front blind box is painted red but with white blind letters. This might be a rubbish priority out of all things revealed, but is a screenshot of the X26 mockup possible please snoggle? Thanks - some of the bus priority stuff is mildly encouraging, I suppose, although the cynic in me can just envisage buses sailing past all the traffic thanks to all the priority measures, but then having to pull in at the next stop and play the dreaded message "this bus is being held here to help regulate the service". Two minutes saved, two minutes taken away... At least there is some acknowledgement that the balance of the Healthy Streets progammes needs to be altered. As for the customer service stuff... In some of those areas TfL are so far from the "leading edge" you have to be sceptical about whether they know where the leading edge is, let alone how to get there. "Customer information during disruption and delays" being one area where their current performance is woeful. I suppose the X26 is the start of experimenting with different bus layouts, but it's not very encouraging that they have to make do with inadequate short-length buses (only now being converted, several months into the contract) when the route really needed investment in new long-wheelbase buses. I have a feeling that many of these customer service aspirations are going to remain unfulfilled given that there's hardly any money to play with. Still we can look forward to the X26 being upped to every 6 minutes soon! It's not the first time they've mentioned LWB buses being re-introduced for the busy routes yet only single deckers have been acted on and not every case either - for example, the 322 could of at least got new 9.6m SE's for its new contract rather than stuck with the 8.9m versions which suffer from heavy loads and lack of a second door. 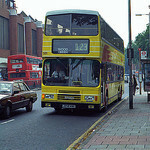 I'm very sceptical we see any long double deckers - routes like the 5, 25, 53, 86, 109, 113, 207, 427, 607, etc. are perfect candidates given how incredibly busy they are. Let's see if this works. Hadn't thought about a screenshot. Now you can all have a laugh! That's certainly a hefty frequency increase Wonder if those trainer/private hire Red Arrow MECs will be used on it! Oh my, that's a dreadful attempt at branding. Seriously, what were they thinking with this example! Firstly, thanks for your second post, as after the first one I was wondering what are they ACTUALLY going to do. The traffic light technology defintely works and has made traffic flow better. The SCOOT that was introduced a few years ago and is at many junctions now works well. For example, around Walthamstow Central when it was introduced around 3 years the traffic flow around and near the junction improved so much, especially on Hoe Street Southbound towards WC. Now, like many areas WC is under destruction sorry contruction and it has undone all the work. 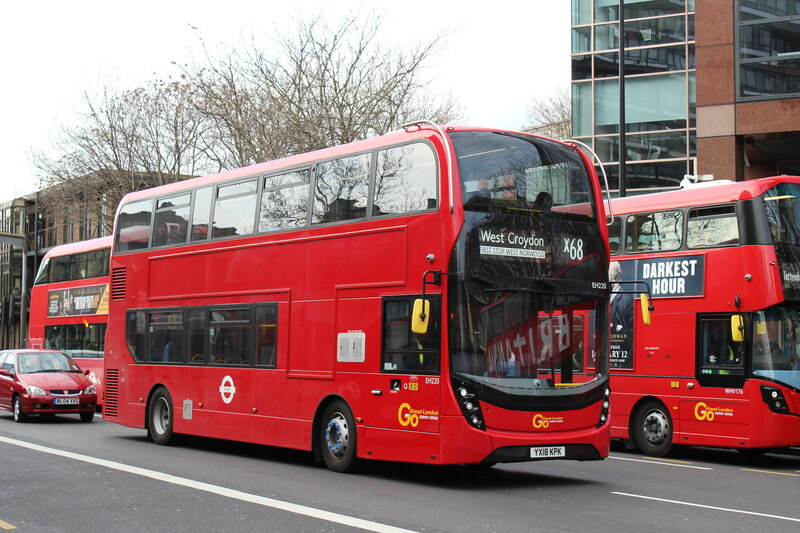 Now what TfL have been saying for many years is trying to get these lights to read buses and give them priority by staying on green longer when they recognise a bus. But this has proven to be hard and has taken many more years and still has not been done. Overall, the lights technology has improved the general traffic flow. However, the road layout and other factors could reduce that benefit. What TfL need to do is get people to stand at a junction for a few hours, and analyse at ground level, there are some minor things that lead to huge traffic jams that can only be seen by people on the ground. If you made the request direct to TfL rather than via What Do They Know, then it should appear on TfL's FOI site. So the attachment should appear there at some point.